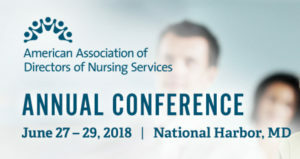 Lisa Thomson and Sue LaGrange are headed to National Harbor, MD this weekend (June 27-29) for the American Association of Directors of Nursing Services (AADNS) Annual Conference. There, they will join hundreds of industry leaders nationwide to network and deliver a thought-provoking educational session on retention and recruitment. Attend Lisa and Sue’s presentation, “Create a Winning Retention and Recruitment Strategy,” June 28 from 3:30 p.m. – 5:00 p.m.
You can also connect with our team at the Pathway Health booth #9 during the conference.